December 13 marks the 3rd national commemoration of the Nanjing Massacre. Through the commemoration, also known as Nanjing Ji, Chinese people hope to, together with the rest of the world, remember the estimated 300,000 Chinese massacred during a six-week period 79 years ago by the imperial Japanese Army. The annual event aims to engrave the dark days in the memory of Asia and the rest of the world for sustained peace. The world has had a deeper recognition of the Nanjing Massacre over the past few years, thanks to a series of events. Besides the National Memorial Day, the historical documents of the Nanjing Massacre have been listed on the UNESCO Memory of the World Register, and a series of exhibitions were also held around the world. All those measures helped more people learn the truth about the Nanjing Massacre, one of the biggest massacres during World War II. “World War II, indeed, started in China. The Chinese people, like all peoples in the war, including the Japanese people, suffered terribly from this inhumanity,” Stephane Grimaldi, general director of the Caen Memorial, said at an exhibition on the Nanjing Massacre about a month ago. The growing number of voices like Grimaldi’s shows that after people learn more about the Nanjing Massacre and the Chinese battleground, the world sees World War II with a new perspective. The Nanjing Massacre was a horrendous crime against humanity and a very dark page in the history of mankind. Though 79 years have passed, history should not be altered with the passing of time, and facts not erased by crafty denials. Today’s people commemorate the Nanjing Massacre for the purpose of upholding international justice. Japanese Prime Minister Shinzo Abe reportedly announced days earlier that he will visit Pearl Harbor to mourn the victims of the Japanese surprise attack 75 years ago. 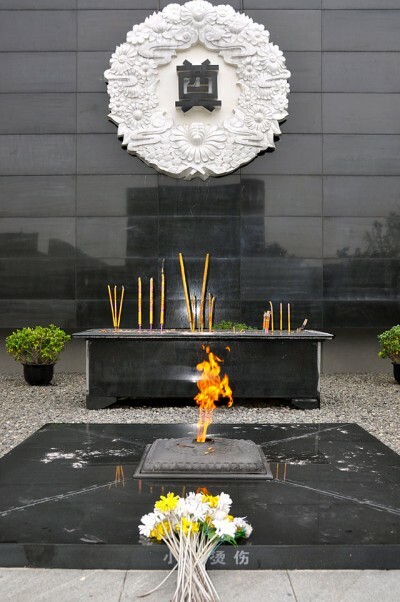 Japanese media then suggested he also visit the Nanjing Massacre Memorial Hall in Nanjing, China. Media’s response can be better understood after taking Japan’s acts over historic issues into consideration. In recent years, Japan’s right-wing politicians, represented by the Abe government, have been attempting to revise history and turn back the clock. They, for instance, paid multiple visits to the notorious war-linked Yasukuni Shrine, and even distorted history books, triggering doubts from its neighbors and the international community. 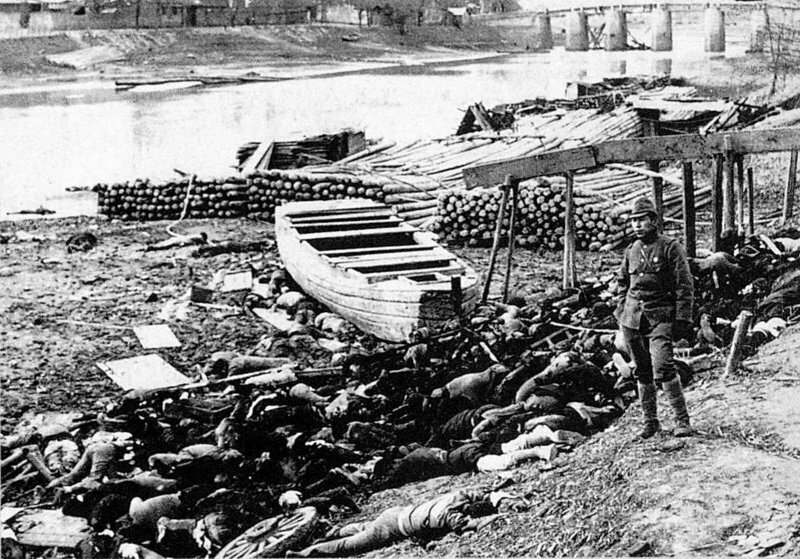 A few months ago, Japan’s education ministry revised some junior high school history textbook passages on Japan’s war atrocities, in which it whitewashed its war crimes by deleting its maleficence in the 1937 Nanjing Massacre. It is difficult to comprehend Abe’s visit to Pearl Harbor as a true “historical trip.” Some said the Japanese government is using this friendly measure to relieve its historical burden from its alliance with the US, and serve its own strategic agenda. Whether the strategic move succeeds or not, Abe’s opportunistic attitude to history is indeed risky. Historical facts cannot be distorted or forgotten since history is always there, even though some nations do not dare to touch it. Americans will not forget the Pearl Harbor attack and the Pacific War, Southeast Asian nations will remember the ruin caused by Japanese invaders, and Chinese people will engrave the suffering brought about by Japanese militarists in their minds as well. Japan has to be honest about its wartime aggression, which is a complete period of history, not a few sections for it to choose from. Recognizing history can neither be Japan’s strategic card nor diplomatic move. History sheds light on the future. Remembering the Nanjing Massacre is about morality and historical justice. Will Japan shoulder its historic responsibility as war instigator and criminal? The world will be the judge.